840 Students Graduate From U.S.P. The Fiji National University’s National Training and Productivity Centre plans to extend training opportunities in its beauty and skin care programme to greater parts of Western Division. 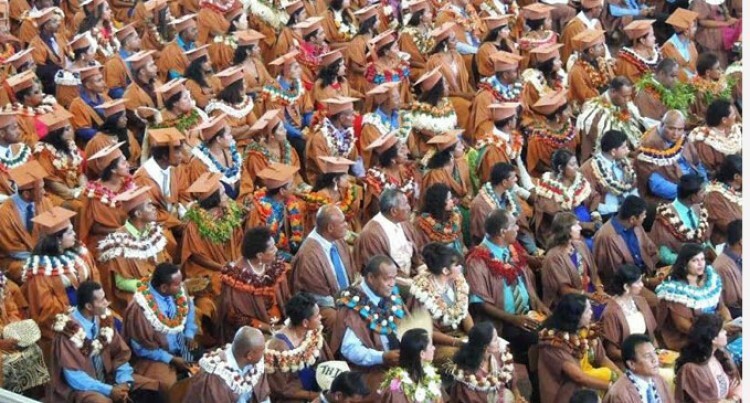 Last Friday 63 students graduated at the FNU Namaka Campus in Nadi. The programme is offered in partnership with Pivot Point International, an academy which provides one of the best hair and beauty education in the US. Centre director, Kamlesh Prakash, said: “Through this partnership, we intend to extend training opportunities to other parts of the country like Sigatoka, Rakiraki and Labasa,” Current centres are located in Lautoka and Suva. The government is also planning to start other centres with NZ help like Sigatoka, Rakiraki and Labasa. Mr Prakash says the industry has seen a number of spa businesses venturing into the tourism sector providing more employment and investment opportunities. “The tourism industry is the largest foreign exchange earner and earnings have surpassed the $1 billion mark,” he said.